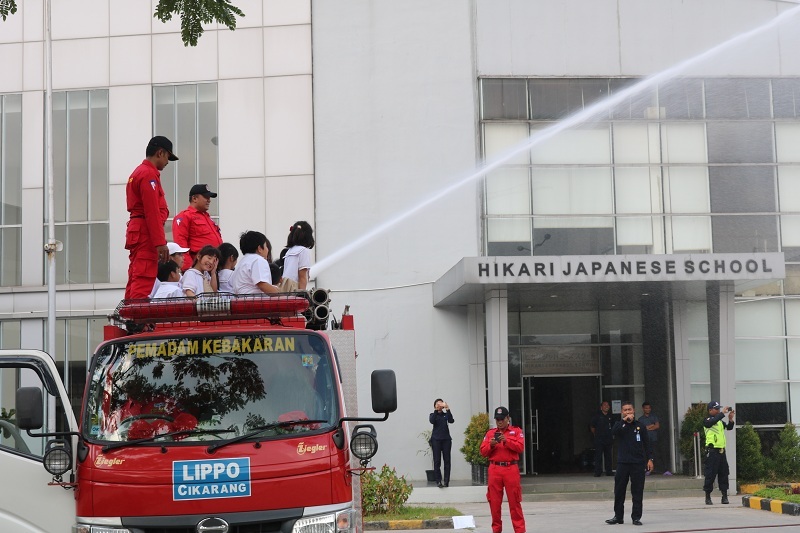 On Friday, May 11, 2018, the Hikari Japanese School Lippo Cikarang conducted a fire drill in the school area of the Hikari Japanese School of Maxboxx Orange County, Lippo Cikarang. 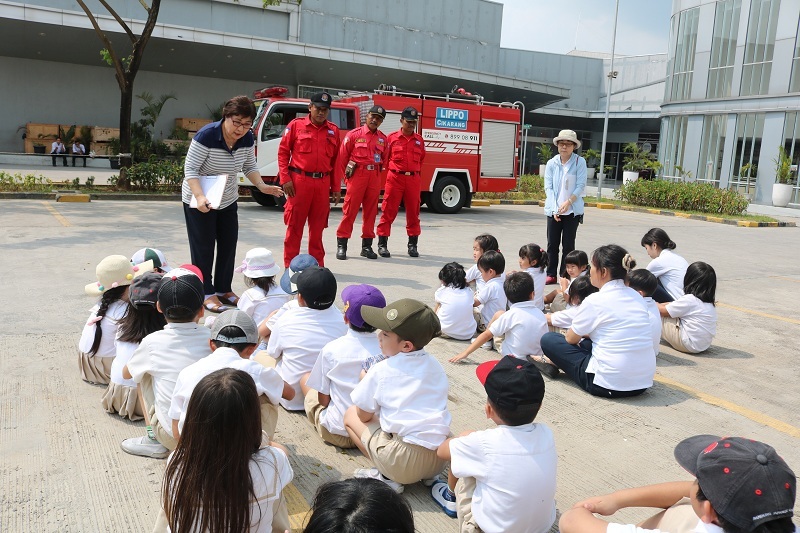 A total of 24 students followed the fire drill, accompanied by the teachers and the firefighting team of Lippo Cikarang. 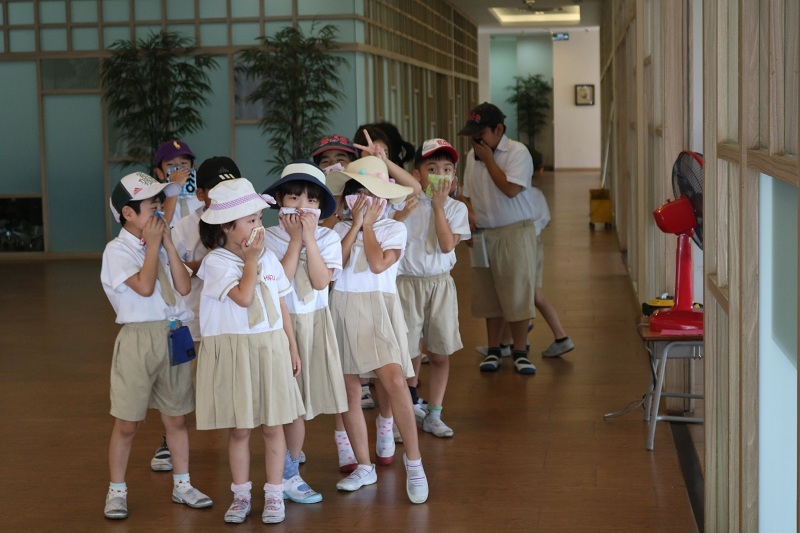 The simulation begins from inside the school, leading to an evacuation outside the school building. Students enthusiastically follow the simulation and listen carefully to the instructions of the Master and Fire Team. Not only in simulation, students can also explore fire extinguishers. They learn to control extinguishers and can also board the fire truck. The great curiosity makes the firefighters come together to explain the tools and answer the questions of the students. Of course, this activity is highly recommended for educational institutions or companies to increase alertness and readiness when a fire disaster occurs.